"Creativity needs a bit of untidiness. Make everything too neat and there is no room for experiment." Charles Handy is an octogenarian (born in 1932), an author of over 15 books and a social philosopher. In 2001 he was ranked second, behind Peter Drucker, in a list of the world’s top 50 management thinkers. In his latest book, The Second Curve, Handy argues that what has worked in the past will not work for us in our new radically changed landscape of society, life and the world of work. What we need, Handy argues is a new conversation about reinventing society as we know it. The second curve concept, is to start a new curve before your current curve turns downwards and makes you redundant. With an uncertain future, the urgency to reinvent and create something new, is now even more critical, however the paradox is that many people wait until it is too late to change. When Handy turned 50, he decided to leave his lucrative executive role at Shell Petroleum, and became a protégé of Warren Bennis, at the Sloan School of Management. He then went on to start his own second curve by reinventing himself as a management author, workplace visionary and consultant. 25 years ago, I stumbled across Handy being interviewed on TV and I found his approach and style compelling, he had me immediately captivated! 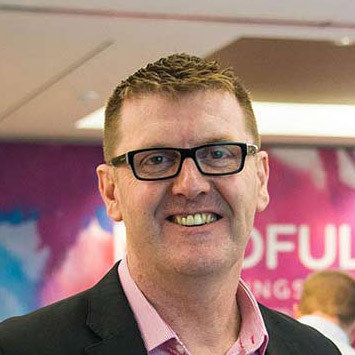 With his gentle erudite voice, provocative thoughts on leadership and his acute insights into the future trends of work and why we need to continually reinvent ourselves, our products, our services and our organisations, Handy made me sit-up and listen. It was his earlier 1995 work ‘The Empty Raincoat’, where Handy emphasised the importance of the Sigmoid Curve, where all businesses and careers have a lifecycle. When we start something new, we dip down and detract value while we struggle to establish ourselves, then all going well we rise and peak on the curve. Unfortunately, most careers end and businesses fail as they hit an eventual decline and fall away to become redundant. However, the counter intuitive solution to successful industries, organisations and individuals is to start a second curve before first one peaks, ‘when all the evidence is that there is no need for change’. Handy’s book is 16 short essays and is especially dedicated to the next generation. It is designed to challenge the status quo and reshape their own lives and workplaces by continually starting second curves. Handy believes that ‘we can change the world by talking’ and that the ‘gradual enrichment of ideas’ is much more powerful than vested interest, as truth proceeds from ‘arguments among friends’. In his essay on the ‘The New Disrupters’, Handy describes a future world that ‘is both exciting and daunting’, because information is now open to all, as power has been redistributed and has replaced hierarchies with networks. This has turned employees into free agents. With this new world of transparency there are no secrets. Power and authority evaporate. There is no longer any ‘excuse for ignorance’ with all recorded information there for the taking. Handy highlights in his essay on ‘The DIY Society’, that with the invention of the Internet and all the digital offshoots, we have moved radically to a society of freedom, ‘but freedom with consequences’. The world of work has been flipped on its head. With no middle layers of protection, along with the traditional workplace models being wiped off the business map, the old systems can simply be bypassed! So self-responsibility and having a DIY approach through self-determination will be the key feature of our new emerging society. This will however be very uncomfortable for many who grew up in a past society, where the institutions assumed responsibility for everyone’s safety and well-being. I also loved Handy’s essay on ‘The Dilemmas Of Growth’, where he advocates for ‘better not bigger’ and of all the organisations that he found the most interesting to work for have been the ones ‘where it made no sense to grow any bigger’. Whether it is a school, hospital, sports club or indeed your workplace, ‘once these had reached what seemed to be the optimum size, any further addition would be pointless, and may even be damaging’. Handy advocates for the now famously successful German business model of the ‘Mittelstand’ family businesses as an alternative for the current crop of corporate greed. The Mittelstand approach is to ‘treat debt with suspicion, invest for the long term and shun the stock market’. Handy’s book really is a deep reflection on the purpose of work, business, workplaces and a life well lived. His style is more of a visionary, looking at big picture trends and the mega changes that are impacting us on a global and fundamental scale. It is also a rallying call to challenge corporate and individual greed and the global imbalances through the ‘bonus culture’ and free-market economics. Reading this book is like having a good meal together, while conversing and arguing with Handy about his decades of observations, research and future trends – the good, bad and the ugly. If you love a voice that is brave enough to combine management with being a humanitarian, where he challenges you to think deeply and philosophically about work and life and to question the world around you, rather than giving you theories and models, this is a must read. 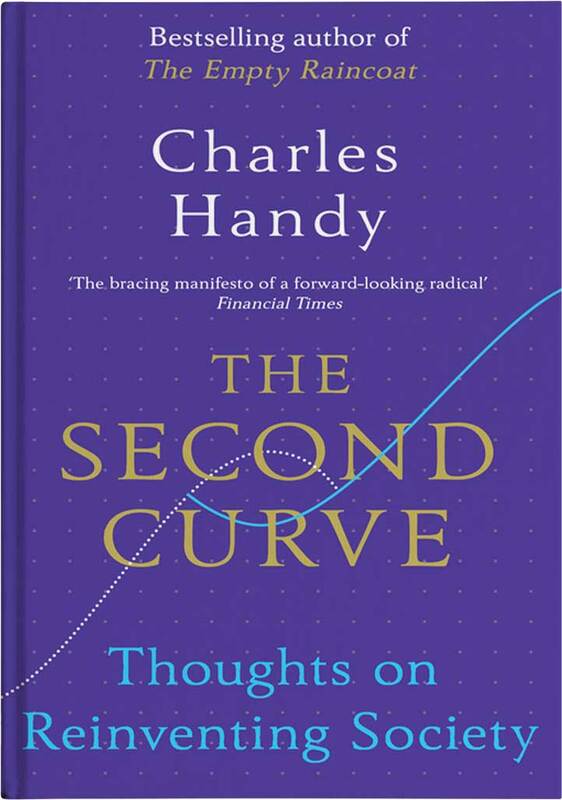 I have been a fan of Handy for almost three decades and I loved reading the Second Curve, probably because of Charles Handy’s unique voice, insights and wisdom. The Second Curve challenged and provoked me, it started new conversations and it helped me make sense of this rapidly changing world we live in, plus it gave me hope.